The Los Angeles Philharmonic has a new Associate Principal Cello, though to frequent concert-goers, things will seem rather status quo. That’s because multiple sources report that at the end of this past week’s auditions, the position was awarded to Ben Hong, the orchestra’s Assistant Principal Cello since 1993 and acting Associate Principal for the past two seasons. When Mr. Hong joined the orchestra as Assistant Principal, he was only 24-years old and the youngest member of the orchestra at that time. He spent the 2011/2012 season as acting Principal when Peter Stumpf (former Principal) was on leave and Daniel Rothmuller (former Associate Principal) moved back into the section as Associate Principal Emeritus for a year before eventually retiring. He has been a soloist with the orchestra many times, including the U.S. premiere of Mark-Anthony Turnage’s cello concerto “Kai” at the 2000 Ojai Festival with Simon Rattle conducting and a non-traditional performance of Vivaldi’s Concerto for Two Cellos in 1997 when Mr. Hong played one lead part and vocalist Bobby McFerrin sang(!) the other. He is on the faculty of the USC Thornton School of Music, where he was once attended as a student of Lynn Harrell. 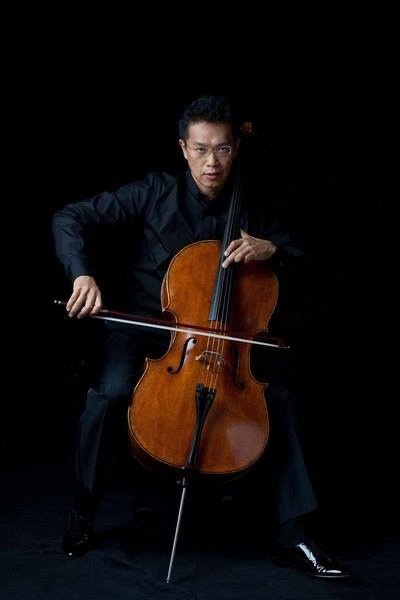 Mr. Hong also gained notoriety as the technical advisor, soloist, and Jamie Foxx’s personal cello coach for the movie, The Soloist. No word yet on when Mr. Hong officially gets his promotion. Even when that happens, he still has to earn tenure in that job and the orchestra will almost certainly wait to backfill the Assistant Principal chair until that happens. Congratulations to Mr. Hong, the cello section, and the orchestra on this wonderful news! Tags: Ben Hong, cello. Bookmark the permalink. Previous post ← Happy National Scotch Day! And speaking of the cello section, who was the young blonde woman in the section, especially with Robert not there? New, or filling in for the week? Many a section principal missing for Alpine Symphony from Bychkov, which on Sunday afternoon kept the audience applauding for many an encore. Any other audition results able to be divulged? The “young blonde woman” in the cello section was “filling in for the week”.